I’ve been on a soap box recently talking about money and health. I chatted with Lucia from Essential Omnivore on her podcast about how many similarities there are between conquering our wellness and our money game. And this weekend, I wrote about it on Mind Body Green talking about how paying off $30,000 was the best thing I could have done for my health. Money and health...are deeply connected. Both can impact the other...money stress can cause health stress and health issues can impact our money. 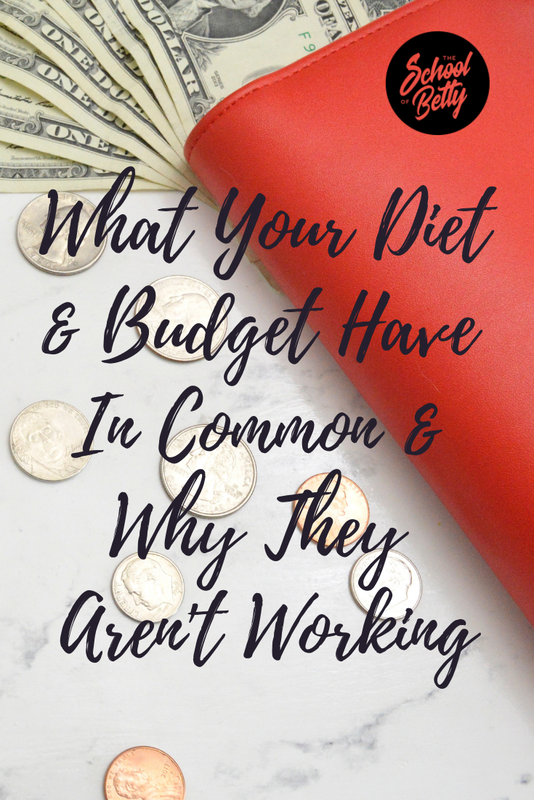 Both usually have starting points that are not viewed in a positive light: Budget & Diet. When most of us think of a budget or a diet, we immediately go to what we won’t be able to have and the restriction they imply. THIS, my friend...is why they fail. When we want to change our money and health game, we have to start with our mindset. If you’ve taken my money courses you know I preach that a budget is a tool that can help you live your best life, but if you haven’t tapped into your emotions, then it isn't going to work. Add to this, we often feel so desperate for change that we pick the “thing” that worked for someone else and not the method that is best for us. You are unique friend so it’s important that you find what works for YOU and that's okay if it is different. Know what your goal is…yup, here I go again preaching about visualization. THIS.IS.IMPORTANT! Once you know your goal or what success looks like, learn the basics (basic budgeting, starting a health program) and put them to practice. As you start to try things, pay attention to your emotions, your energy and your time. That’s right...all of them. YOU CAN’T FAIL, BECAUSE FAILURE IS JUST A DATA POINT! When something doesn’t work, if you are being mindful in the process, you will know why. Knowing why tells you where you need to shift. Have an awesome week friend.